The Gran Hotel Bahía is set within Bocas town on Colón Island. The hotel has spacious rooms and is located within a historic building. Bocas town is the funky, bohemian center of the Bocas del Toro archipelago. It is the largest town in the archipelago and will appeal to all kinds of travelers – backpackers, surfers, and beach lovers will all find it a pleasant place. There are an assortment of white-sand beaches to visit both on Colón Island and other islands, and a number of good snorkeling spots. Bocas del Toro is also one of Panama’s premier surfing destinations. 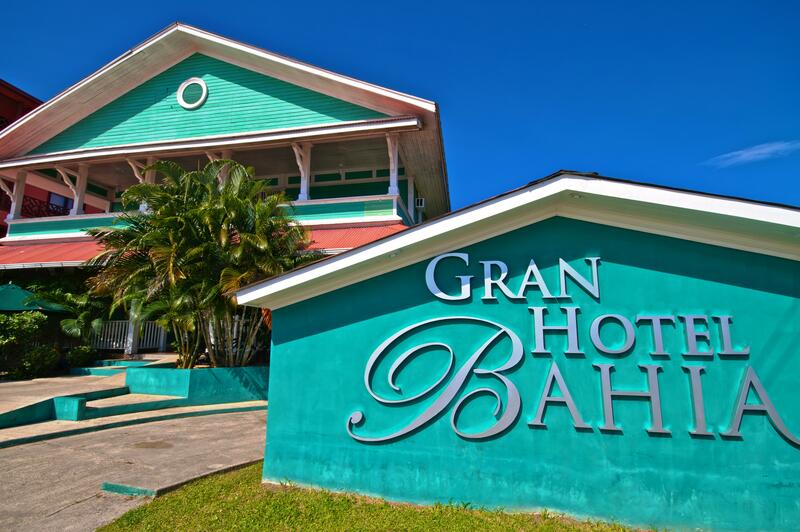 The Gran Hotel Bahía is set within one of the oldest buildings in Bocas town. The building was built in 1905 and was once used as the headquarters for the United Fruit Company. The hotel underwent a renovation a few years back, but the historical character is still there. The hotel’s rooms are spacious and have attractive hardwood floors. All rooms have a private bathroom with a hot water shower, air conditioning, in-room safe, and a cable TV. The hotel’s deluxe rooms have a king size bed, sofa bed, mini-fridge, and a flat-screen TV. There is a big terrace on the second floor of the hotel that has views of the Caribbean. This is a pleasant place to eat breakfast, read, or chat. The hotel’s complimentary breakfast consists of cereal, fruit, ham, cheese, toast, coffee, and milk. There is also an onsite restaurant – the Carlos Steakhouse – that offers Uruguayan barbecue and fine wines.